Experiences are takeaways from a journey. I started my internship journey on 11th of June with Project KHEL. I was very excited and was prepared for the upcoming challenges. 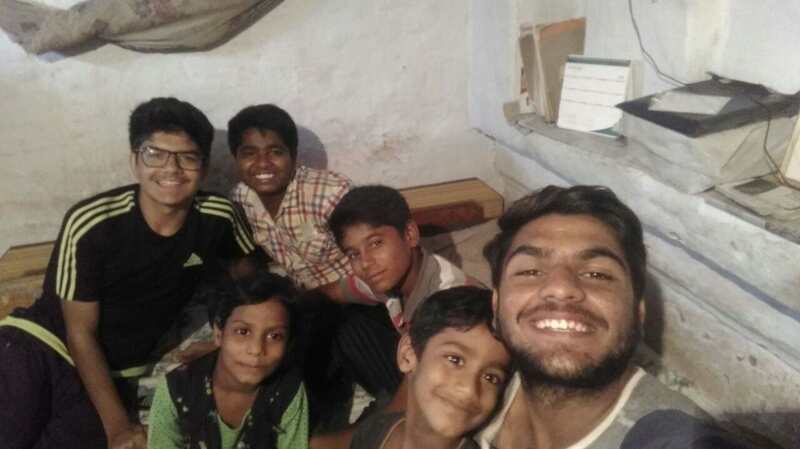 Throughout my internship journey, the thing which was very touching for me was the night stay at one of Project KHEL’s Community Youth Leader, Uttam’s house. The moment I stepped out of the car, I saw happiness around me. Uttam and his younger brother Gautam were waiting outside to welcome us with a huge smile on their faces. I could smell the delicious dinner his family was lovingly cooking for us. I felt welcomed and pleased at the beginning. There is a saying “You can know how much a person loves you only by their actions”. This saying was so evident in the actions done by all the members of the family to make sure that my friend Rutvik and I were comfortable. I was being treated not like a guest but a family member itself. I felt I was back home because Uttam’s mother was taking care of me just like my mother. I was touched by their hospitality. Entertainment and masti are the key elements for a night out. To build up the mood, we first started watching TV, then took a couple of selfies together making funny faces for capturing this memory. Just then I heard a voice saying “Khana ready hai, Dinner ke liye baith jao” (Food is ready, please come and sit for the dinner). Soon after I was served with the delicious food. Being a foodie that food was heaven for me. I could feel the love in each bite I took. The softness of paneer and sweetness of sevai was overwhelming. With this, I could also see the satisfaction and happiness in aunty’s eyes seeing us enjoying the food. Moving on, after eating the dinner we went on the walk to a park. I took off my shoes and while walking I could feel the wet grass underneath my feet. I just could not stop staring at the sky at that moment. Since everybody was tired, we layed down on the bed for some time and had a nice conversation until I slept. I had a pleasant sleep that night. Next morning, I woke up at 7 in the morning. We didn’t have our toothbrushes, so we tried brushing our teeth with neem twigs. It was another challenge for me because it was the first time I was doing such a thing. After freshening up, we went to visit the Butler Palace which is right behind their house. It was drizzling a bit and clouds were all above us thus we thought it was the perfect setting to explore the palace. The place was supposedly haunted, which made the adventure even more interesting. First, we had a great site seeing of the palace till the top floor. Gautum was the guide who kept telling us all the interesting history about the palace. Then for fun we tried a Mowgli ride, holding on to an aerial root and swinging from one end to the other, which was so much fun and adventurous for me. My hands were burning after I tried the ride though! The burning sensation disappeared with the delight of the breakfast served to us. After eating the breakfast, we clicked a picture with their family and thanked each member for hosting us so lovingly. It was a memorable experience for me altogether.